Jose Mourinho would be a good addition to Ligue 1, according to Monaco's Leonardo Jardim. Former Manchester United, Chelsea and Real Madrid boss Mourinho has been out of work since leaving Old Trafford last December. But the Portuguese has signalled he is planning to return to club management in June, claiming to have already rejected a number of offers. 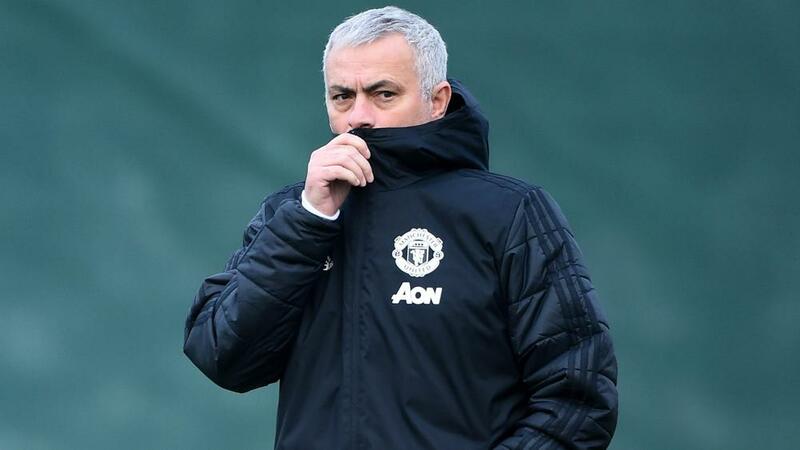 Mourinho has previously been linked with Paris Saint-Germain and Lyon coach Bruno Genesio said it would be "an honour" to be succeeded by the two-time Champions League winner. The arrival of Mourinho would boost Ligue 1's global profile and Jardim would be pleased to see the 56-year-old add to the league's Portuguese contingent. "Me, honestly, if he is coming, it's a good thing," Jardim told reporters. "Paulo [Sousa, Bordeaux coach] is here, Sergio Conceicao was here, there has been some Portuguese [managers] in Ligue 1. "It's a good thing because the Ligue 1 is a great league. Portuguese managers have good experience, Mourinho even more than the others. That's why if he is coming, it would make me happy. "He has been the first famous manager to maintain his performances and to have success outside of Portugal. Even if in France, a Portuguese manager, Artur Jorge, had won with Paris, we shouldn't forget that. "But, among the new generation, he is kind of a pioneer in that context." Monaco host Caen on Sunday aiming to continue their rise up the table after Jardim returned following the departure of Thierry Henry. And Jardim hailed the fine form of Radamel Falcao, who scored three goals in two games before the international break to take his tally for the Ligue 1 season to 12. "The assessment of Falcao is the same I have done every year and also the one I did at the beginning of the season," Jardim said of the Colombia international. "Everybody remembers two and a half years ago, after his injury, I had still said: 'Welcome Falcao, you will help us'. Even if everybody was saying it was over for him to recover. "He is here now, he has played 100 games in Ligue 1 and scored 62 goals. This year, at the beginning of the season, everybody was worried for our attack. But I wasn't scared, I knew Falcao would score 15-20 goals, I'm sure about that. That's what he is doing. "That's why, for me he is still an important player, he is our striker with his quality known by everyone."